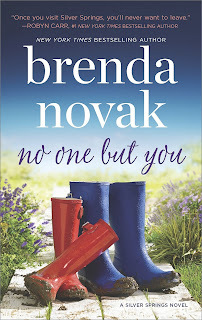 Brenda Novak returns to Silver Springs, California, and ratchets up the suspense element in the second book in her new series. Sadie Harris is in the process of divorcing her husband, a police officer whose nickname “Sly” is as much character description as it is name. An emotionally abusive husband and father, Sly also uses his position as a cop to intimidate at will. He is fighting the divorce, and Sadie’s only hope for holding out until she gains her freedom is to find work that pays enough to support her and her five-year-old son, Jayden. She is desperate enough to respond to an ad for a housekeeper placed by the infamous Dawson Reed. Dawson Reed has recently been acquitted of the brutal hatchet murder of his adoptive parents, but the court of public opinion in Silver Springs has judged him guilty regardless. Only Aiyana Turner, owner and director of the New Horizons Boys Ranch of which Dawson is an alumnus, and her sons believe in his innocence. (Dawson’s ties to the Turners link this book to Finding Our Forever, the first book in the series.) However, neither open animosity nor anonymous vandalism is enough to keep Dawson from making repairs to the family farm and making plans to bring his special needs sister, Angela, home from the institution where she has been for the year Dawson was in jail. He needs a housekeeper/caretaker for Angela while he restores the farm, and Sadie Harris is the only person who has shown any interest in working for the man nearly everyone in town considers a killer. Sadie is nervous about working for Dawson at first, but she quickly come to believe in his innocence and see him for the sensitive, honorable man he is. Dawson finds in Sadie the friendship he sorely needs in his isolation. When the guest house Sadie has rented since she left Sly mysteriously burns, Dawson offers Sadie and Jayden sanctuary. Suspecting Sly’s involvement, Sadie and Dawson join forces to hire an independent arson investigator, fearing that Sly’s job will interfere with an objective investigation. As their friendship grows into romantic love, danger threatens their relationship and their lives. Are they strong enough together to prove Dawson’s innocence, combat the town’s condemnation, and survive the evil that threatens them? Fans of Novak may find this book slightly reminiscent of This Heart of Mine, the eighth book in her popular Whiskey Creek series, in its innocence condemned theme. Readers who are most interested in the relationship of hero and heroine will enjoy watching the development of feelings between Sadie and Dawson, both survivors who have tenaciously endured the blows life throws at them. Suspense fans may be surprised at the twist Novak gives the plot. 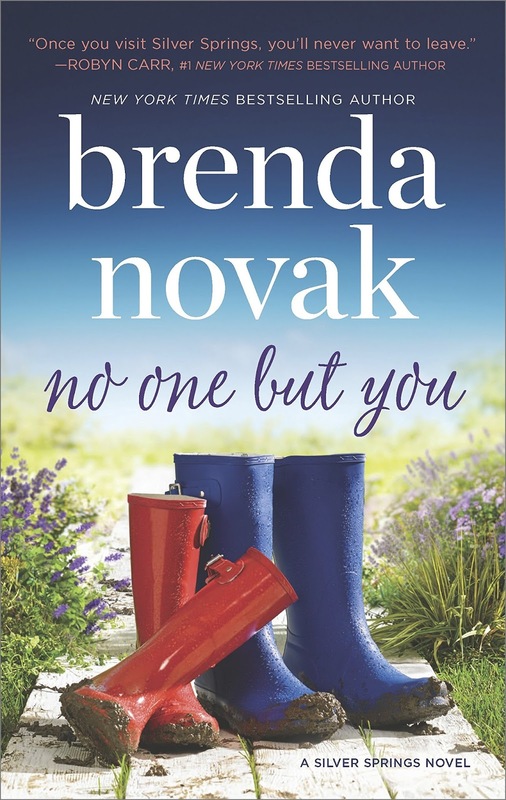 I am a long-time Brenda Novak fan, but the featured villain in this book was just too close to the real-life experience of someone I know for me to relax and enjoy the story. That is a personal response rather than a comment on Novak’s skills. Subjectively, I gave the novel three stars, but a more objective reassessment prompted me to award it the four-star rating you will note above. The third book in the series, Until You Loved Me, releases August 29. I’ve already read it, and I think those who prefer their series more varied and more loosely connected will find the Silver Springs books appealing. True series addicts (like me) may miss the tighter ties between books and find that this series, although not without its strengths, does not measure up to the beloved Whiskey Creek books. Great review! I'm picking it up at the library on Monday, and am looking forward to reading it, along with the 3rd one in August. I hope you enjoy it, Nikki. I read this one and liked it best so far in the series. Can hardly wait for the next one to come out. I liked the scientist heroine-pro football player hero pairing in the July 25 book, deerdoe.